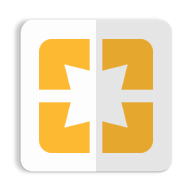 In mid August, Google announced that they would be releasing an updated user interface. It has already begun to roll out, but there is still a lot of information that is unknown and not told to developers and not available in a preview. Luckily, the Reddit user ntauthy was able to find a way to manually enable these existing features on some versions of Wear OS. I’m going to go over the changes that were announced for developers as well as the ones that have not been. Notifications now show a smaller amount of text initially, but users can still expand the notification by tapping on it. Notifications can show any color you set using the .setColor function in your notification’s builder. Tapping on a notification will no longer bring up a custom layout for expanded content, but rather show the full text of a notification with additional actions. The following changes where seen by me on the new version by manually enabling feature flags. Allow me to make the disclaimer that these are not confirmed for the official release, but are withing the Wear OS app. 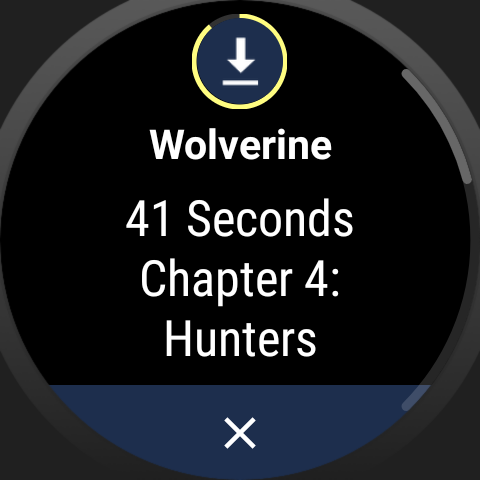 The current media session from your watch or paired device now displays in the top status bar showing the current title. A Play/Pause transport control is available. 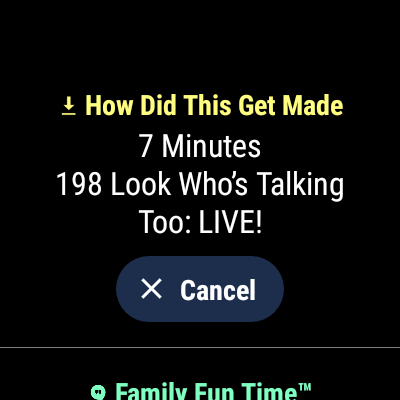 Tapping on title triggers the Content Intent of the Media Style notification if it was posted from the watch, or brings up the Media Controls activity if not. One thing that surprised me was a new Activity available in the app drawer that brings up extended controls for the current Media Session. 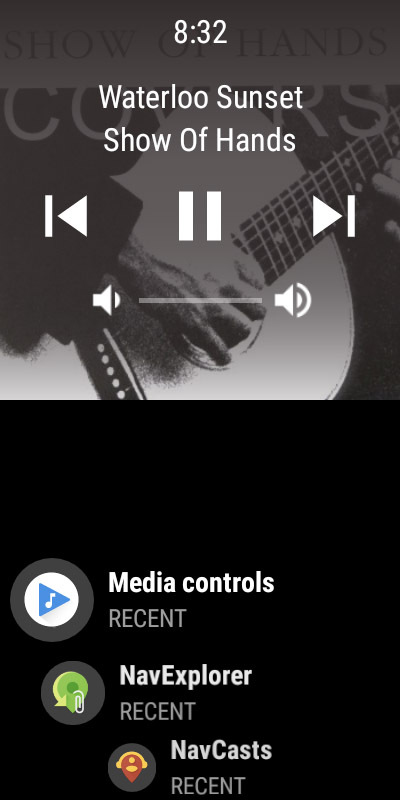 It displays transport controls with the volume slider and the current title. The album art displays full screen behind it with the time at the top. 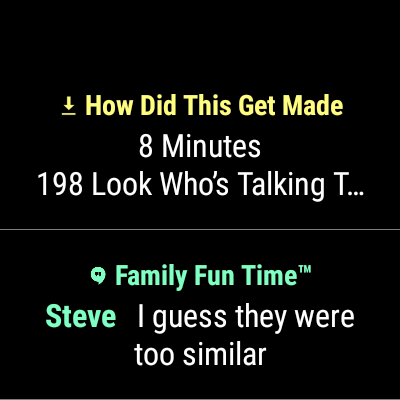 After enabling it, I later got a notification telling me that this activity would automatically be launched when I started playing something, but this could be turned off by long pressing on the screen while it was open. This seems to be to replace the full screen controls previously available, but allows users to disable it if they don’t like it taking up their whole screen. While in the old version tapping on a notification triggered the content intent if one was set, this is not the case for the new one. Instead, the content intent shows up as another action labeled “Open”. 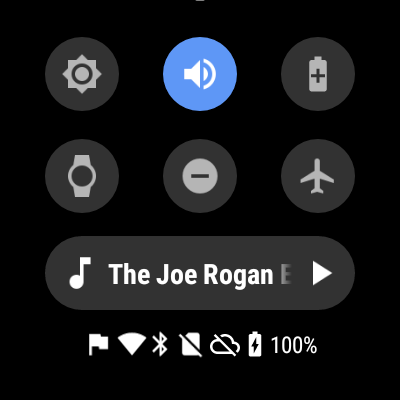 With the old version, a circular progress bar could be shown around the notifications icon. This does not appear to be the case in the new version, so developers should not depend on it for showing progress. Let me know if If am missing anything or if you have any questions.